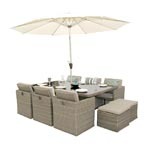 The Knoll textaline 4 seat garden furniture set is a new range of garden furniture offering contemporary design for use both outdoors in the garden and within the conservatory. 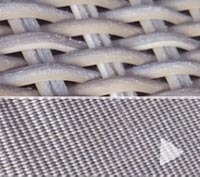 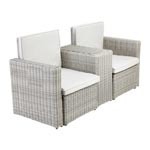 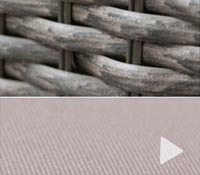 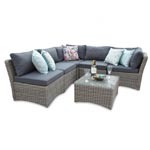 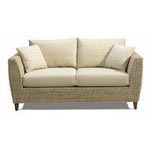 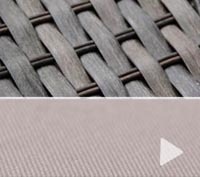 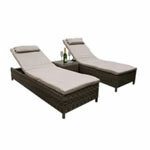 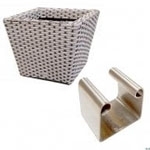 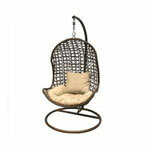 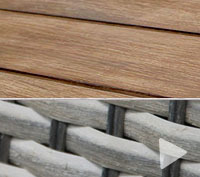 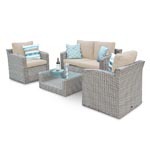 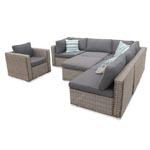 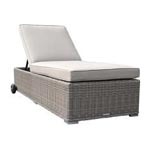 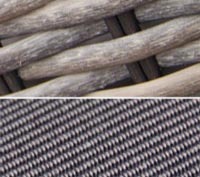 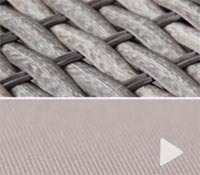 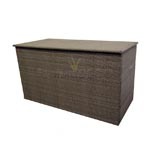 Being woven textaline this 4 seat garden furniture set is designed for a life outdoors, complete with luxurious grey cushions and a glass table top for durability. 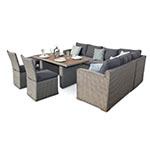 The Knoll Textilene 6 Seat garden furniture Set from the DECO alfresco Textilene garden furniture collection, this 6 seat dining set offers interior style that will transform your garden, no matter how big or small a space, your decking or patio offers. 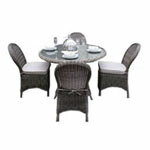 Crafted from textilene in a sleek text weave brushed grey, with the 6 chairs featuring zipped covers. 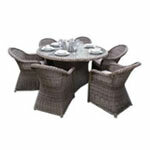 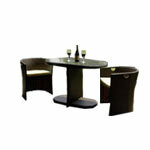 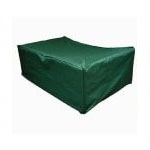 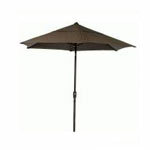 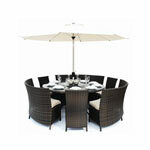 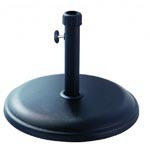 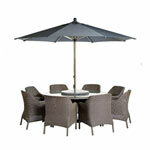 This lightweight garden 6 seat table set will suit many spaces. 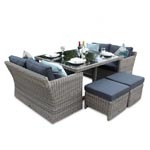 Place it in the centre of your garden to create a real centrepiece, or create a new dining space by placing this table set in a forgotten part of your garden for instant style! 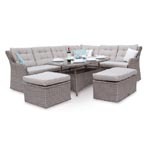 The Knoll rectangular textilene 6 seat dining furniture set is beautifully in keeping with the style and design of indoor dining furniture, allowing it to be used as inside and outside furniture. 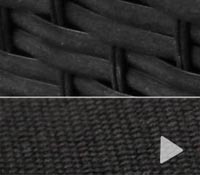 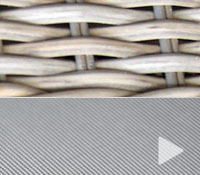 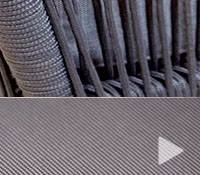 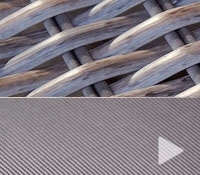 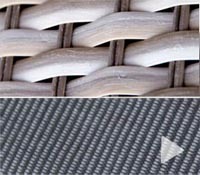 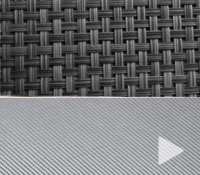 The Text Weave remains cool to touch in the hot summer months. 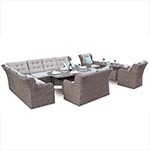 As winter arrives, simply move your furniture into your conservatory or dining room, so that there is no reason for dinner parties to stop. 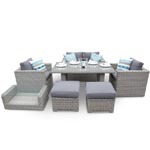 Perfect for using to dine with a group of friends or for a family meal, this rectangular 6 seat garden text weave furniture set is versatile enough for any situation.